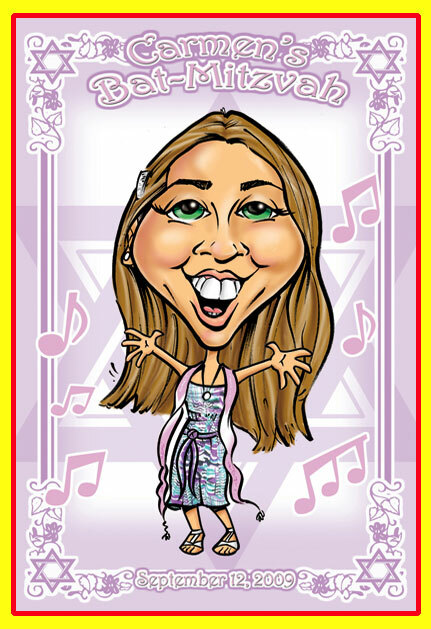 This is a Digital Gift Caricature done for a Bat-Mitzvah that was made into a poster and used as a sign-in board as well as made into a 5 x 7 card. 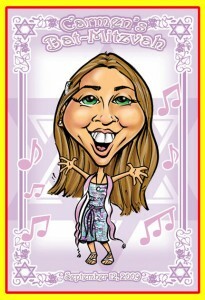 This entry was posted in Caricature, Illustration and tagged gift, mitzvah, party caricatures, sign-in board. Bookmark the permalink.